RUSH: This is under the umbrella nothing that they initially report is anywhere near the truth. Donations — and this is CNN — donations to the NRA tripled after the Parkland shooting. 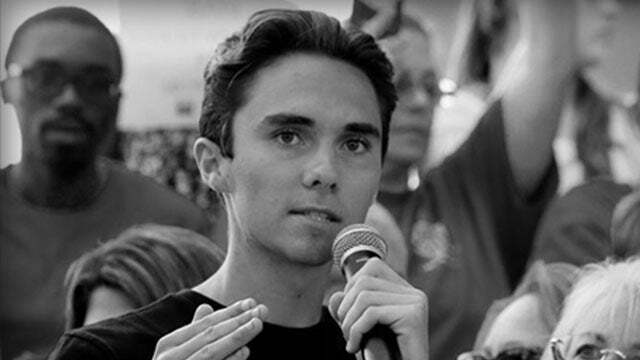 Also, a bunch of liberals are now asking John Paul Stevens to shut up and to even take it back, that there’s no way they intend — even Camera Hogg, even the kid from Parkland David Camera Hogg is out there saying (imitating Hogg), “No, no, the March for Life organization, which I founded and which I lead and which I appear on TV all the time, has no interest in ending the Second Amendment.” But of course they do. That’s the entire reason for what they’re doing. Also, 89% at the March for Our Lives were Hillary voters. Ten percent were kids. Let me ask you this, CNN. If it’s no secret that the NRA gets a bump in donations after mass shootings, then why do you keep promoting it? One of the reasons it happens, CNN and MSNBC, and NBC, CBS, New York Times, is because you turn the NRA into a bogeyman. And since you are the Democrat Party, the American people think that the Democrat Party and the American media are gunning for the NRA. And so the natural reaction is for the NRA to receive massive support in response. You know, Obama made this happen too. So it turns out that perhaps you could say the best friends the NRA has during circumstances like this happen to be the Democrat Party and the Drive-By Media. ‘Cause after every one of these incidents, what happens? 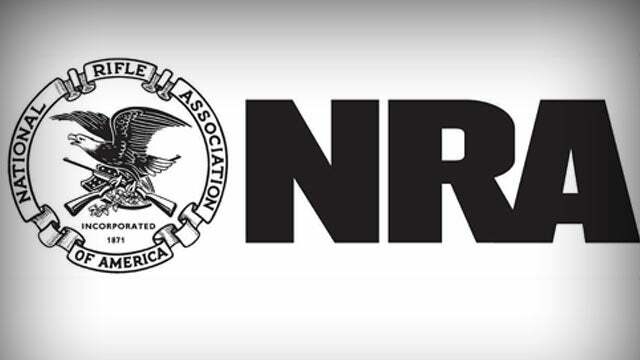 The NRA becomes the bogeyman, the NRA becomes the evil reason why the mass shooting took place, even though not a single, not a single criminal mass gunman has ever been an NRA member. And then you have these exploited young children sent out as the lead marchers to effect the policy of the ABC, CBS, NBC, CNN, New York Times, Washington Post, to personalize the hatred of the NRA and to try to blame them. And what happens? The American people rally to the NRA. And this just makes the Drive-Bys and the Democrats livid. And yet they are obviously right in the middle of the mix in making it happen. And they continue to berate the NRA and they continue to focus on the NRA, and they continue to try to make people believe the NRA is the great enemy and the culprit and the reason. Another thing they get dramatically wrong, another thing they continually try to persuade the American people of that is dramatically false and wrong, and the American people react to it in droves, which just serves to further anger the media and the Democrat Party. And so with each one of these mass shootings, this rejuvenated effort to essentially confiscate guns from everybody backfires on the very people claiming to want to do the confiscating. And don’t believe them when they say they don’t, because they do. This march, ladies and gentlemen, we have surveys here from the Washington Post, we have surveys from CNN. This March for Our Lives event, according to the Washington Post, 89% of the people that showed up voted for Hillary Clinton. Fewer than half of them were even there for gun control. You know what it was? It was just another resistance rally made up of these crazy women still out of joint because Hillary Clinton lost. And whenever there’s a rally of any kind, they’ll show up. In this case, they commandeered it and they took it over. But they were more than happy to be portrayed as children marching for their lives against the NRA. And the express purpose — and do not ever doubt this — the express purpose all these people have is total gun confiscation and the repeal of the Second Amendment. They’ve let that cat out of the bag one too many times now. They’re trying now to put that genie back in the bottle, but they can’t. 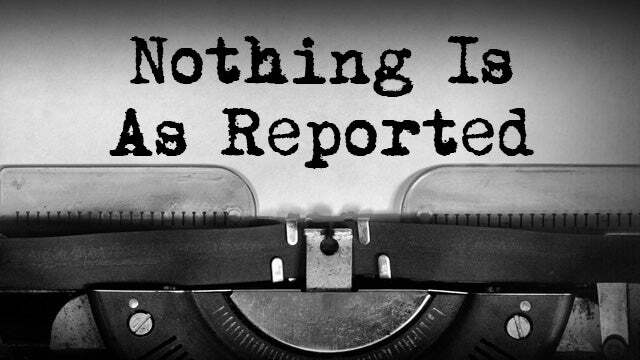 The point is, all this time, from days before that rally, the day of the rally, and then the immediate aftermath, the American media lied to the American people about what the event was, who was there, who was driving it, what its objective was, every bit of reporting on this rally, including its size, was dead wrong. Whether they were knowingly lying or just habitually lying is irrelevant. There were not 800,000 people. There were 200,000. Very few of them there for gun control. The vast majority, almost 90% were there because they were Hillary Clinton supporters. And this gun control push is going to fizzle because it wasn’t a gun control push. It was a resistance rally that was spun by PR people to look like something else. 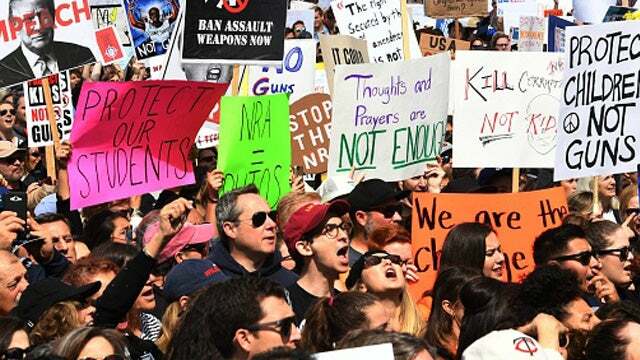 It was a resistance rally that was made to look like the nation’s children going to Washington to try to save their lives from the evil number of guns in the hands of evil people in America. And the children of America were standing up, the children of America were standing up and telling their parents and grandparents, “Enough. We don’t like your America. We don’t like your way. And we’re not gonna put up with it anymore. We are through dying for you.” That was the message. It turns out though that was not the message. That was not what happened. That’s not what that rally was about. The children were nothing more than props. They were the people thrown out there on TV to utter and shout the liberal left talking points of the day when it comes to gun control. But in truth it was an anti-Trump rally from start to finish. The kids behaved exactly as they were programmed. They said exactly what they were told to say. They said exactly what they have been trained and educated to believe. It was an anti-Trump resistance rally that was put together by anti-Trump forces, dominated by pro-Hillary Clinton donors, voters, fundraisers, you name it. The whole thing was an act. The whole thing was a fraud, like most left-wing rallies are. It was not organic. It was bought and paid for by the usual leftist activist fundraisers and donors. They made a yeoman’s effort to make it appear like it was an organic children’s rally, but it wasn’t. Less than 10% of the attendees were children. And yet we were told it was the children of America finally telling their parents and grandparents they’re fed up, they’re through dying for us, they’re through dying, they’re finished, they’ve had it with giving up their lives for their parents’ and grandparents’ silly, evil beliefs. The NRA remained the number one target and enemy at this rally, while the people who make America work were donating in triplicate to the NRA. The NRA was once again maligned, impugned, and miscast by Camera Hogg and the rest of his buddies up there who were lying about the NRA. The NRA is not a power base because it donates a lot of money to politicians. How many times have we said this? The amount of money that the NRA donates to politics you could put in a thimble compared to the amount of money donated by Big Labor. In a 20-year stretch ending in 2017, again, Big Labor, $1.7 billion in one year. In a 20-year period, the NRA barely hit over a million dollars. The NRA is who they are because they have a massive number of members drawn from the United States of America, average, ordinary Americans. That’s where they get their community strength. That’s where they get their political strength. They have millions of members. They don’t have to pay politicians to get what they want. They don’t have to bribe. They don’t have to fundraise, donate, or any of that. They bring the real organic power. Think of the NRA as a miniature chapter of the Tea Party, in a sense, in terms of it’s organic. It is not your usual political organization. By the way, somebody sent me a note on this Roseanne show. I want to mention this. The stunning ratings breakdown, if you missed this. This is another thing that’s turning Hollywood and media upside down as they try to figure this out. You had the highest watched prime time TV show sitcom in years, 18 million people, and the number one demographic was adults. Okay? Eighteen million people. Yet in New York the program didn’t finish in the top 30. In Los Angeles, the program didn’t land in the top 30. How in the world can this be? How can you not be top five New York, top five Los Angeles, and still get 18 million people? Well, I mean, it’s not hard to do, but in the media world, that’s not possible without being very strong in New York and Los Angeles. The highest rated market in the country for the Roseanne show was Tulsa, Oklahoma, with a 65 rating. Sixty-five share. Unheard of. So I got a note, “You know what? This Roseanne show demographic breakdown is almost exactly what the Electoral College was.” That’s an interesting observation. All the electoral votes in New York and Los Angeles did not help Hillary Clinton. She still lost, despite getting every one of them. 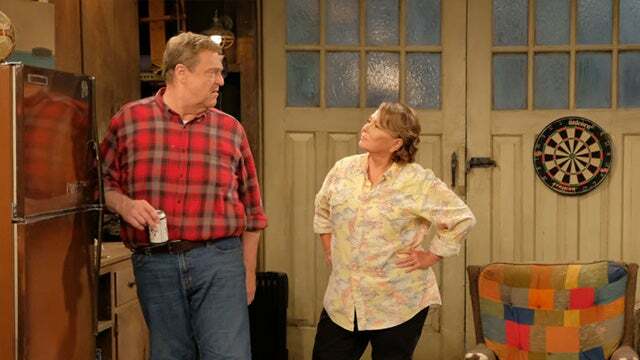 And here comes the Roseanne show finishing far and away number one, not even finishing in the top 20 and in the top 30 in Los Angeles. From Breitbart News: “‘March for Our Lives’ Leaders Deny They Want to Repeal Second Amendment — Leaders of the ‘March for Our Lives’ anti-gun protest movement.” Is there such a thing? Can we get down to brass tacks here? Is there even really such a thing? If they have a March for Our Lives rally, and only 10% of the people that show up are kids, students, then what is this? I think the whole March for Our Lives organization is being amplified, built up, and expanded to be something it isn’t, either, like everything else in the media is expanded, blown up, amplified to be something that it’s not. I’m not saying there wasn’t a rally, but it wasn’t March for Our Lives. That was the name of it, but it was your usual Trump hate fest. It was just another reason for these deranged, unhinged anti-Trump people that cannot control their hate to show up and express it once again. And they put the kids up on the stage to make it look like it was a kids rally. But they were the props. But nevertheless, the media continues to tell us something exists that doesn’t. Really? You don’t want to repeal the Second Amendment? The fastest way to get rid of the NRA would be to repeal the Second Amendment. Repealing the NRA is the real objective. “No, no, no, I want an assault weapon. Well, there they are. I mean, I don’t know of a gun that’s not used in the way you’re talking about here. I mean, you think the animal doesn’t feel assaulted out in the hunting range? Here, just pick one.” And Camera Hogg, he said he’s not interested in the repeal of the Second Amendment, either. So now these teenage leaders of something that doesn’t really exist in big numbers, the March for Our Lives movement, are now official spokesmen against the repeal of the Second Amendment.